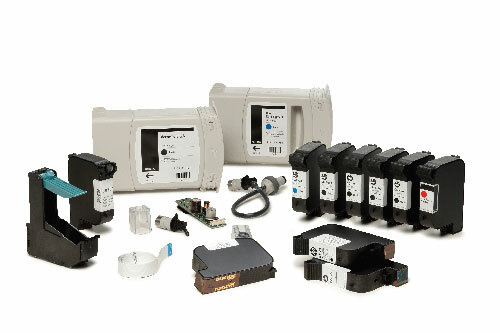 SPS releases HP’sworld-leading Thermal Inkjet (TIJ) technology to partners who satisfy a variety of end user needs in many markets. More specifically, it sells TIJ cartridges, enablers, and components to OEMs, who design, manufacture, and market finished “printers” to customers, who print and dispense fluids for multiple applications. With dedicated OEM-partner relationships, SPS is driving innovation for labelling and packaging applications for a wide range of vertical markets, including product identification on primary and secondary packaging, in addition to on-demand desktop labels for a range of applications. As the package printing and labelling market is growing rapidly in Southeast Asia due to increasing consumption of fast-moving consumer goods, SPS aims to create new market opportunities with specialty industrial applications to satisfy the demand from this industry in the local market. PROPAK ASIA, the largest tradeshow in the region for the food, drink, and pharma processing and packaging industry, includes 9 Industry Zones making it easier for buyers and sellers to meet and develop great business together. Co-organized with PROPAK ASIA, Printech Asia zone is dedicated to the new technologies for converting, package printing and labelling, making it a perfect choice for SPS to showcase the latest coding and marking solutions developed with HP Thermal Inkjet Technology to industry customers and end users alike. Customers across the globe use HP Thermal Inkjet technology because it’s clean, reliable, odor free, and always on. Compatible with both aqueous and solvent inks, HP TIJ technology provides high-resolution 2D, QR codes, and text across a wide range of substrates at high speeds with a no maintenance, easy-to-use, snap-in and snap-out configuration. SPS also provides a thermal inkjet print mechanism with optimized integration, development costs, and time-to-market plus a five-year assurance of supply for customer to print specialized labels, retail bags or customized boxes, delivering a higher ROI than standard consumer printing platforms.